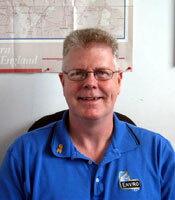 Meet Our Management Team in Stoneham, MA | Envirotech Clean Air, Inc. The Envirotech Clean Air, Inc. management team consists of dedicated industry professionals with an emphasis on continuing IAQ and HVAC hygiene education. Envirotech Clean Air's focus is on providing a superior level of service in both customer service and its remediation effort. 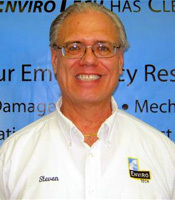 Steven F. Goselin, Vice President and co-founder of Envirotech Clean, Inc. is a national expert on HVAC system hygiene, structural mold remediation and specialty cleaning for sensitive environments. 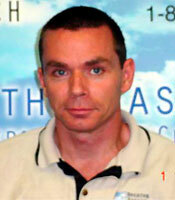 Mr. Goselin has been in the indoor environmental cleaning and remediation business since 1976. 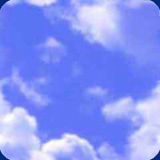 He is a NADCA certified Air Systems Cleaning Specialist and also holds a Massachusetts Sheet Metal as a Master license. Currently he is on the board for the Boston Chapter of the Indoor Air Quality Association and is also a member of the New England American Industrial Hygiene Association. Mr. Goselin has published numerous articles on indoor air quality related topics and has also given presentations and led workshops on similar topics. Ronald J. Fallon, Vice President, Special Projects Director, brings more than 30 years of multiple project management experience to Envirotech Clean Air. With the company since 1995, he has served the company as Project Manager and as Operations Manager before assuming his current position. Dedicated to Indoor Air Quality, Fallon's main objective is business development and to ensure the delivery of a professional, courteous and safe environmental cleaning service. He feels that maintaining a close association with both the customer and the service provided by Envirotech's "Clear Air Technicians" ensure both excellent customer service and a top-notch remediation effort. Fallon has an MBA, attends many IAQ courses and conferences and holds many of the top designations and certifications in the industry. Those include Certified Restored (CR), Ventilation System inspector (CVI), Certified Mechanical Hygienist (CMH) and Vetilation System Mold Remediator (VSMR). Dennis P. Mitchell, Director of Operations, has been working at Envirotech for over 15 years, and has been serving in his current role for over four years. Before becoming Operations Director, Mr. Mitchell served as service manager, senior project Manager, project manager, and Lead technician. Mr. Mitchell has led the Operations department on large, high profile projects across the country, while providing the highest level of customer service and impeccable attention to detail. His knowledge of HVAC system cleaning is second to none and his ability to complete jobs on time and on budget is one of Envirotech great strengths. 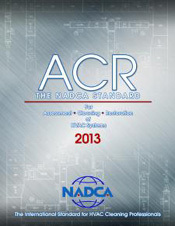 Mr. Mitchell holds certificates in the industry's leading associations such as NADCA and IICRC. 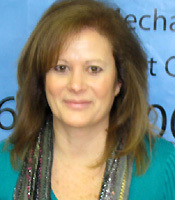 Elaine Massaro is our service and office manager. Elaine maintains the daily schedule, incoming calls, personnel and office activity. Call Elaine with any questions about scheduling or how your project is going.